If you’ve been coming to Rotten Tomatoes regularly for a while, you’re probably already familiar with our Five Favorite Films interview features. We wanted to do things a little differently for the month of October, leading up to Halloween, so we decided to speak to a number of actors and filmmakers who have a special connection to the horror genre and ask them specifically what their Five Favorite Horror Films are. 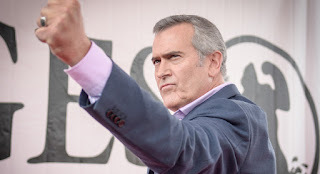 We begin with none other than Bruce Campbell.